Black Friday's right around the corner but I couldn't care less. Indeed, I, Woody Weingarten, may be the world's worst consumer/shopper. 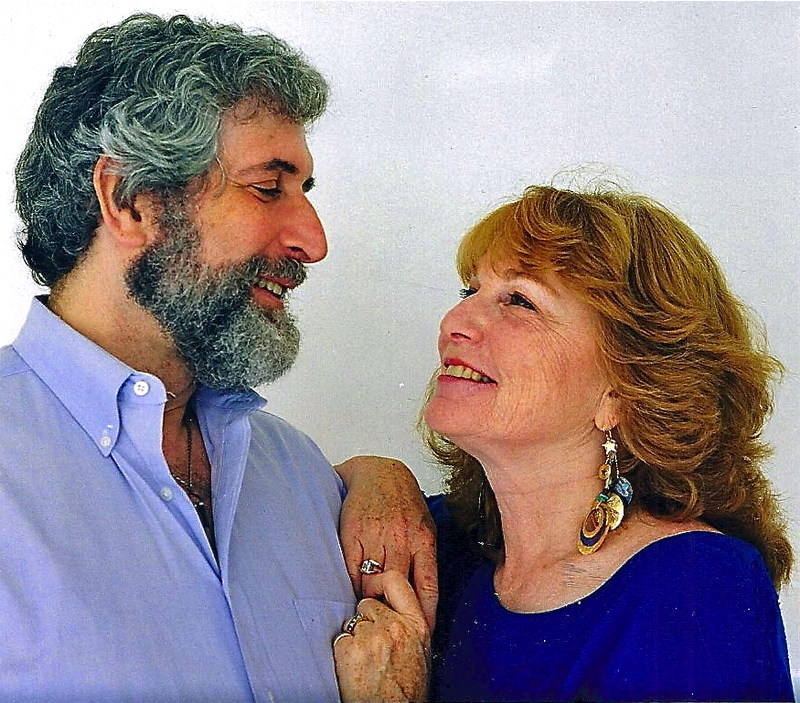 Woody Weingarten and Nancy Fox — still in love. Necessities are what I purchase. Luxuries are what I tend to leave for everyone else to buy. That's because I have virtually everything I truly need (the Bentley I've always fantasized about notwithstanding to the contrary). 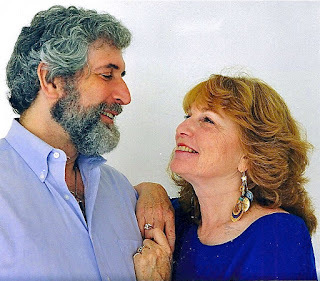 My wife, Nancy Fox, and I — despite having entered our geezerhoods — are cancer-free, comparatively healthy, still "an item" and still in love after nearly 30 years together. 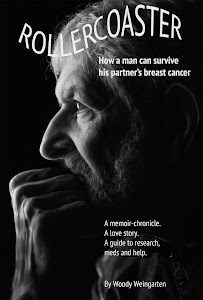 In recent public appearances, I ended both short and long speeches with two brief excerpts from my VitalityPress book, "Rollercoaster: How a man can survive his partner's breast cancer." 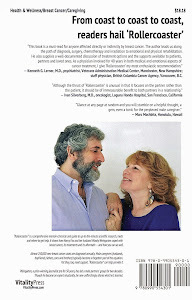 The book is aimed specifically at male caregivers but its messages clearly apply to both genders. And the fragments act as reminders to both Nancy and me what we endured when she was diagnosed more than 20 years ago with breast cancer. "I have considered what I want in my life. Peace, love harmony, an end to war throughout the world. Those desires have not changed. But now I want to pay more attention to Woody, be a better mother and daughter. "I have allowed myself to befriend visualizations, crystals, vitamins, hands-on healing. I have prayed. "I want this entry in my diary to be profound. I want to remember all the important things, to put them down for me and Woody and whoever to see. But I don't feel profound. I simply feel relieved, so glad it's over." "We can now offer greater understanding and kindness to each other — and to virtually everyone who touches our lives. We can now recognize it's not crucial what gender or age someone with a life-threatening disease is, and that both designated patient and anointed caregiver require nurturing. "We can more regularly keep our priorities in order, strive for balance, unblock our spirituality and divert the million potential intrusions on our lives each week. "Through all the nows and yet-to-comes, I pledge only this: to love you without reservations, as fully as the human condition will allow; to nurture our creative talents, so our individual and collective light may brighten a few shadowy corners of this dimension; and to cherish and retain, always, my glorious vision of us as soulmates…"
"Almost 30 years later, I haven't changed my mind — or my intent."